Some of the best things in life require the most maintenance and care to keep them functioning. Routine cleaning is a necessity for life to keep it happy and healthy, especially if these things are luxurious. HEPA air purifiers are no different. Fortunately, HEPA air purifiers are normally washable, so it can be easy to clean them most of the time. There are multiple ways to clean your HEPA air purifiers and filters to the point that you can use them for a long time. However, the filters will eventually need to be replaced either way, which can be pretty pricey at times. Keeping it clean and maintained will provide an extensive longevity for your filters, so keep that in mind when purchasing a HEPA air purifier. 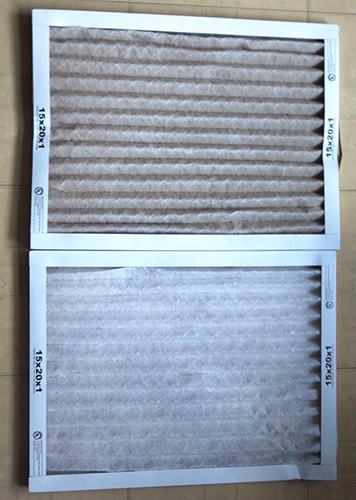 There are different methods that you can take to clean your HEPA air filters. All HEPA air purifiers and filters will come with a manual or sheet that lets you know everything you need to do to take care of them. Always make sure you refer to the manual to see if your HEPA filter is washable or not. Washing is usually the best way to clean them, but not all of them are. If it’s not washable, you will have to do other things to clean it. There are different types of HEPA filters when it comes to cleaning them. You have to take into consideration if they are washable or permanent. If you wash a permanent HEPA filter, it is very likely that you will ruin it. Remember, always check the manual before you do any cleaning on your air purifier or filter. Keep in mind that you may want to take the filter out while outside or in a garage so that you don’t release any allergens back into your home. Removing the filter is crucial, considering you’ll need to wash, vacuum, or blow it. This can be tricky, but the manual should be able to walk you through it. It might be obvious, but you’ll need to separate it from the appliance. Some appliances have a lock or a snapping portion. Taking it out of the appliance is necessary, so read the manual if you haven’t. If you lost it or it didn’t come with one, you can always search online for your model’s manufacturer. Sometimes your appliance may have more than one filter. Be sure to clean that one as well, but those aren’t as difficult to clean as HEPA filters. The first thing you want to do when removing the filter is unplugging or shutting off your appliance before doing anything. If your appliance has a washable HEPA filter, then maintenance becomes much easier than a normal cleaning job. Simply take the filter out and tap it onto a solid area like a patio or over a garbage can. After that, all you have to do is run it under a rushing faucet. After washing it, make sure that you let it dry for 24 hours. They must be dry before reinstalling the filter because it could ruin the filter and appliance if you don’t allow it to air dry. If you’re in a hurry, it might be a good idea to use a hair drier or heated pad. If your appliance has a permanent filter, it is unlikely that it is washable. Remember, always check your manual. Vacuuming your filter is a viable option when it comes to these unwashable filters. Turn off and unplug your appliance before removing the filter and then get your handheld or floor vacuum. If it is a floor vacuum, be sure to attach a hose that you can hold and simply run it over both sides of the filter. These filters can be quite fragile, so make sure that you’re not too rough with the vacuum. It can easily puncture or push through the permanent HEPA filter and these aren’t cheap. When you’re finished with it and the other filters in the appliance, simply reinstall them and continue your life as normal. HEPA air purifiers and HEPA filters are a worthy investment for increasing your quality of life. They pull allergens and pollutants from the air and assist with people who have allergies and other sensitivities to them. Cleaning your filters is normal maintenance and should be done at least once a month to keep your appliance running smoothly. If they get too old or worn out, it’s always a good idea to replace them. They can last a few years, but once it starts wearing down, it won’t catch the airborne microbes very well. Be sure to replace them whenever it begins to look old. It could prove to be expensive to replace a HEPA filter, though.